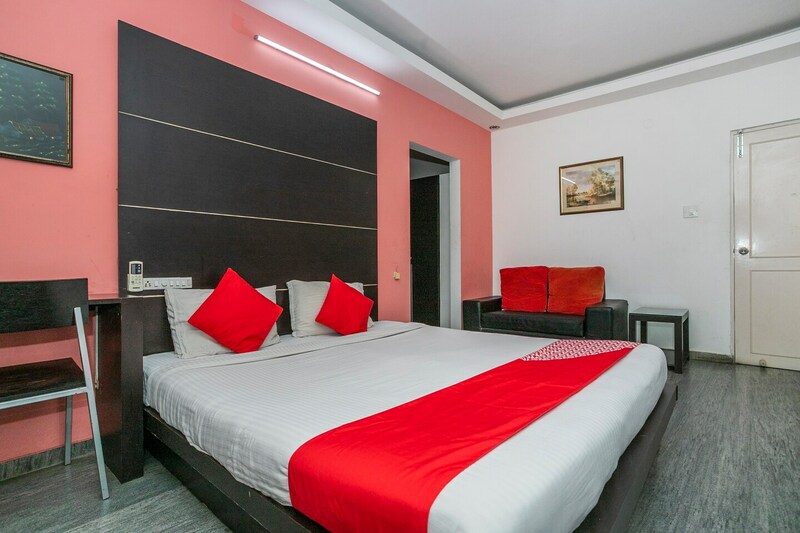 Golden Sands offers its guests spacious and well-maintained rooms at pocket-friendly prices. The rooms are spacious with modern contemporary furniture. It is furnished with a dresser, side table, desk and a chair. The plush sofas make for the seating space in the room. The walls have a pleasant and a calm colour tone. To top it all off, the hotel also has an in-house restaurant, conference room, living room and a dining area. The elevator and power backup add to the convenience of the guests. It accepts card payments and also has parking facility.